fields, and the dimensionality of space-time. After seeing some heavy stuff on Relativistic Theory of Gravitation (RTG) in the last post, we come to yet another book on General Relativity (GR) which is titled Space Time Gravitation by Yu. Vladimirov, N. Mitskiévich, J. Horský. popularizations is the third chapter, in which the authors try get to grips with subjects such as cosmological singularities, generalizations of Einstein’s gravitational theory, the quantization of gravitational ﬁelds, and the dimensionality of space-time. The book was translated from the Russian by A. G. Zilberman and edited by F. I. Fedorov. This book was first published by Mir in 1987. For magnet links/ torrents go here. A search for final evidence! There I hear its singing strings! If I had a pair of wings. To trace the tunes of theory. Their null lines my dreams embrace. ‘Which grows light-like sans remorse. With a crushing tidal. force. Forward, friends! Forget your caution! Our souls will fill our sails! 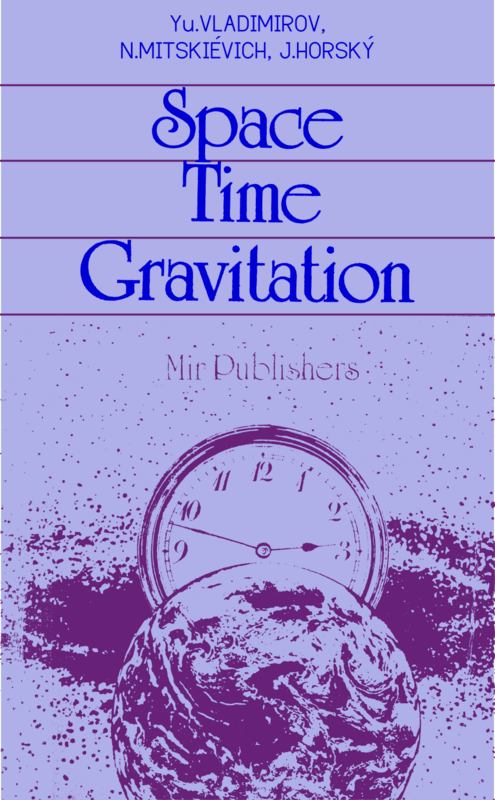 This entry was posted in astronomy, books, history, mathematics, mir books, mir publishers, physics, science and tagged black holes, cosmology, dimensions, general relativity, gravitation, gravitational lensing, gravitational waves, kerr field, principle of equivalence, singularity, space, time. Bookmark the permalink. Arquivo corrompido ou senha errada. Por favor, consulte as FAQ. Para a extração e senha assuntos relacionados. I got the 7-zip file manager and it works good. Thanks for your concern.